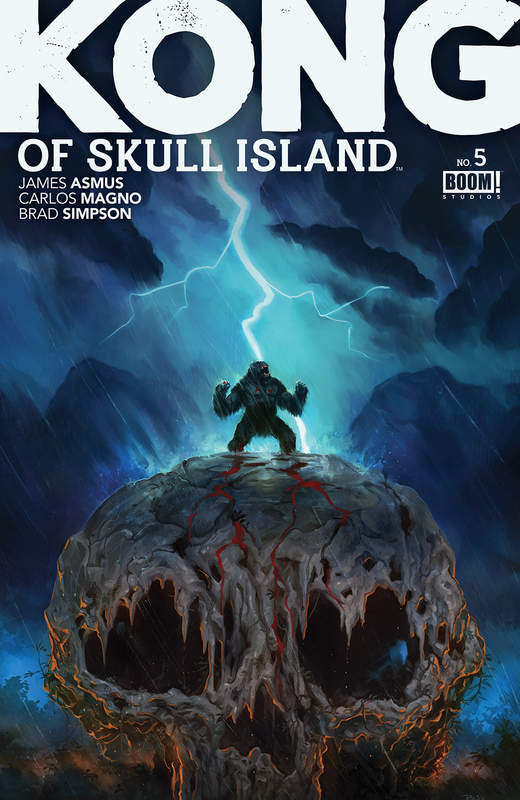 Overview: Logo and identity design for Kong of Skull Island, a comic book published by BOOM! Studios. Design Brief: There have been many takes on Kong's story through the years and we wanted a logo that felt true to the story but still original and modern. Project scale: 12 issue series with three collected softcover editions. 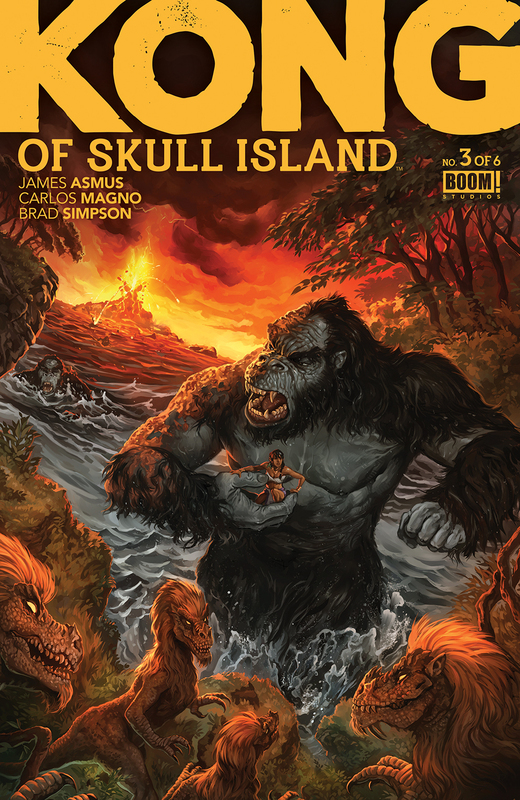 covers from single issues of KONG of Skull Island. 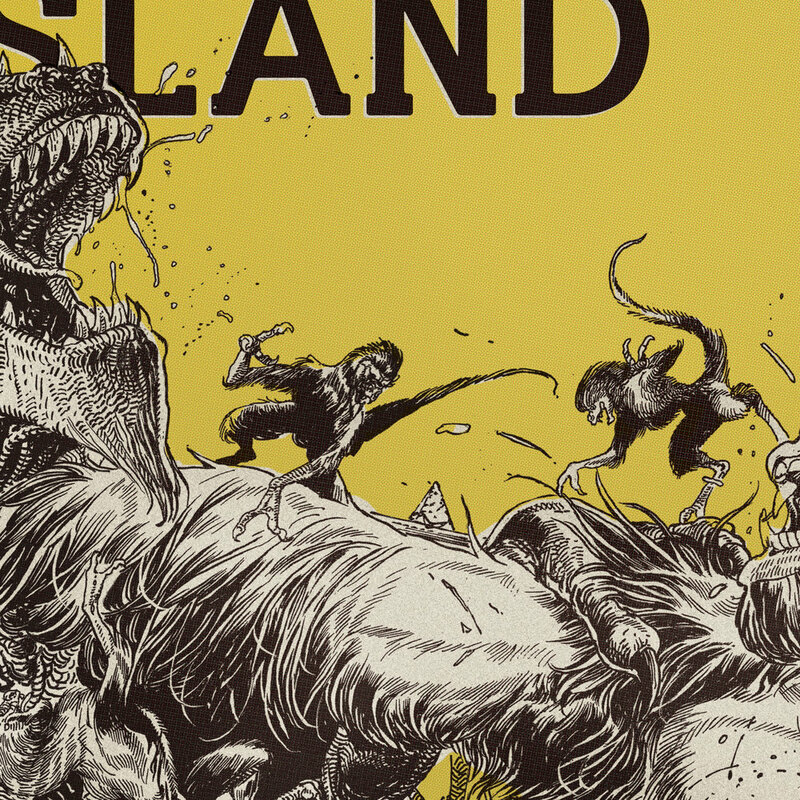 Wrap around exclusive coloring book cover of KONG King of Skull Island. I looked at a lot of pulp comics and magazine styles for the design direction of this series. 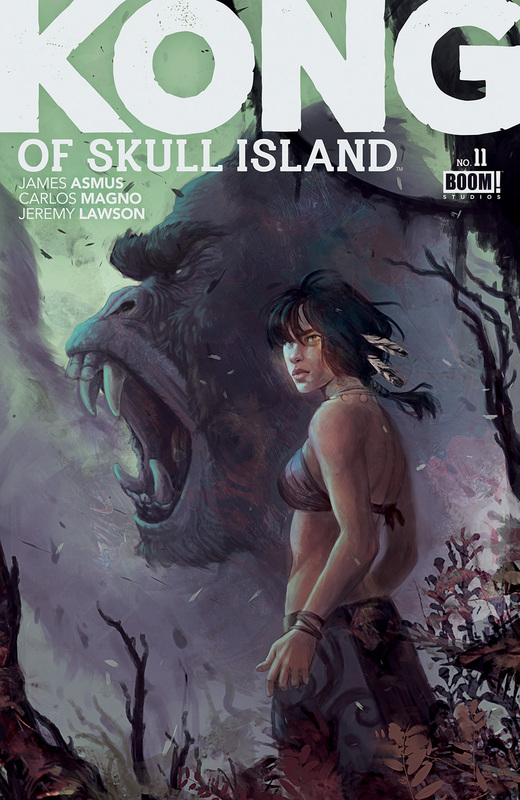 Modern fonts roughed up and a large layout spanning across the top of the page allows the logo to call back to Kong's pulp origins while still feeling current. For the design pages, I created a three color style where line art pulled from the interiors is cut out and placed on a flat color, then a faux paper color and halftone print pattern is applied to make the image look like an old pulp comic page. This style was used through the singles and on the back cover for each of the three volumes. Kong pulp comic page reference. Detail shot of the interior credits design. This style was used through the singles and on the back cover for each of the three volumes. The elements that build the page are workable, so the line art and spot color can be swapped out and the halftone pattern automatically applies to each image.